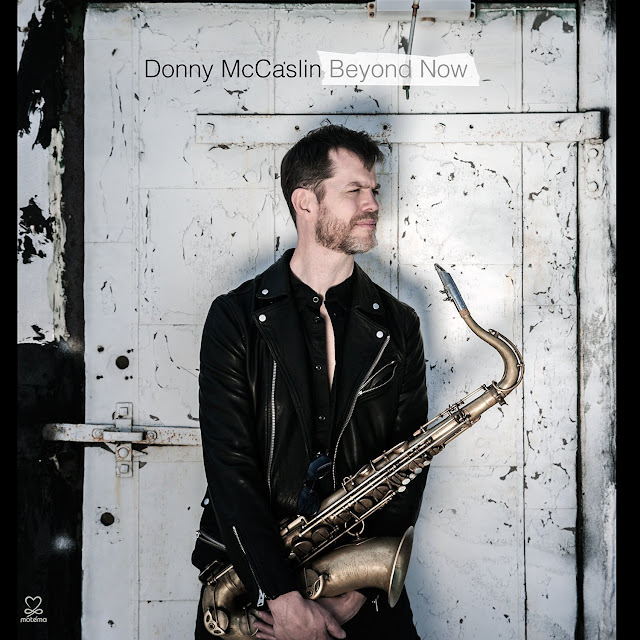 Deeply influenced by the extraordinary experience of collaborating with David Bowie on his final release, 'Blackstar', Donny McCaslin steps forward with 'Beyond Now'. Recorded a few months after Bowie's passing, it is a heartfelt dedication to the Starman. Alongside Bowie's 'Last Band' (Jason Lindner, Mark Guiliana, Tim Lefebvre and McCaslin himself), Donny reimagines two Bowie songs, tracks by Deadmau5 and MUTEMATH, plus powerful originals, displaying the rich musicality and innovation that originally led to him working with one of the most creative artists of all time. "It was like a dream except it was something I never could have dreamed of," reflects McCaslin on working with Bowie. "David Bowie was a visionary artist whose generosity, creative spirit and fearlessness will stay with me the rest of my days. 'Beyond Now' is dedicated to him and to all who loved him." Comprised of core 'Blackstar' personnel, bassist Tim Lefebvre (Tedeschi Trucks Band, Saturday Night Live), drummer Mark Guiliana (Me'shell Ndegeocello, Brad Mehldau) and Jason Lindner (Now Vs Now), along with guitarist Nate Wood and producer David Binney, 'Beyond Now' is comprised of two Bowie songs, covers of Deadmau5 and MUTEMATH as well as compelling McCaslin originals that include the title composition, inspired by a track inspired by a song McCaslin recorded for 'Blackstar' that didn't make the album. With three GRAMMY nominations and 11 albums to his name, McCaslin's path to Bowie and 'Beyond Now' can be traced back to 2011 and the release of his album 'Perpetual Motion', taking on an electric direction for the first time in contrast to his previous acoustic projects. Two subsequent albums 'Casting for Gravity' (2012) and 'Fast Future' (2015) released with his working band were directly influenced by electronica artists (covering groups such as Aphex Twin, Boards of Canada, and Baths), which netted McCaslin a 2013 GRAMMY nomination for 'Best Improvised Jazz Solo'. 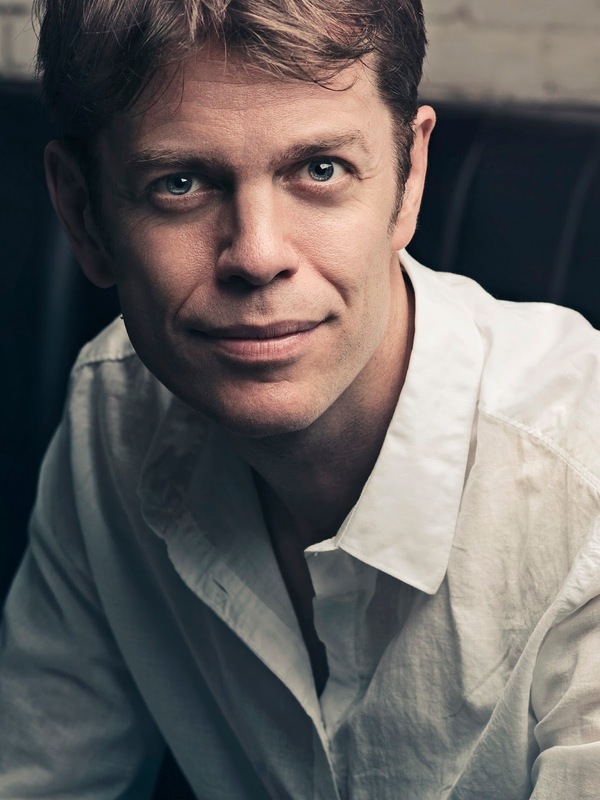 The (as it turned out) once in a lifetime opportunity to work with Bowie came after composer Maria Schneider, a longtime collaborator, recommended McCaslin and his group to Bowie. Schneider and Bowie were collaborating on the track 'Sue (Or in a Season of Crime)', which featured McCaslin as a soloist. In June 2014, Bowie heeded Schneider's advice and made a visit to hear McCaslin and co at the 55 Bar in Greenwich Village. Soon after, Bowie began corresponding with McCaslin over email and sending music, forming a new collaboration and friendship that transpired through the recording of 'Blackstar' until Bowie's passing. The result is 'Beyond Now', which documents the 'Last Band' as they were processing both their grief and Bowie's distinctive impact. "This new album is an expression of that journey for all of us," says McCaslin. "David allowed 'Blackstar' to be what it was going to be regardless of how people might have categorised it. More than anything, it was his fearlessness in crossing musical boundaries and genres in his music and life that inspired the risks I'm taking in 'Beyond Now'. I am indebted to Bowie for showing me the risks and rewards of going for your uncompromising musical vision." When George Cables was going to school in New York City he used to walk the streets at night, taking in the cosmopolitan sights and sounds, mentally recording his encounters with "so many different kinds of people." 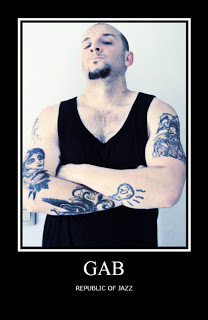 In his musical career as well, Cables has prowled sidestreets and main thoroughfares in relative anonymity, absorbing countless influences into his personal style. Born in New York City on November 14, 1944, Cables was classically trained as a youth and when he started at the "Fame" worthy High School of Performing Arts, he admittedly "didn't know anything about jazz." But he was soon smitten with the potential for freedom of expression he heard in jazz. The young Cables was impressed by such keyboardists as Herbie Hancock and Chick Corea. But, he points out, "I never really listened to pianists when I was coming up. I would probably say I've been more influenced by Miles or Trane and their whole bands rather than by any single pianist. The concept of the music is more important than listening to somebody's chops, somebody's technique, The Way Miles' band held together, it was just like magic. You were transported to another world." Cables attended Mannes College of Music for two years and by 1964 he was playing in a band called The Jazz Samaritans which included such rising stars as Billy Cobham, Lenny White. and Clint Houston. Gigs around New York at the Top of the Gate, Slugs, and other clubs attracted attention to Cables' versatility and before long he had recorded with tenor saxophonist Paul Jeffrey, played on Max Roach's "Lift Every Voice and Sing," and earned a brief 1969 tenure at the piano bench with Art Blakey and the Jazz Messengers. A 1969 tour with tenor titan Sonny Rollins took Cables to the West Coast. By 1971 he became a significant figure in the jazz scenes of Los Angeles, where he first resided, and San Francisco, where he also lived. Collaborations and recordings with tenor saxophonists Joe Henderson and Sonny Rollins ("Next Album:), trumpeters Freddie Hubbard and Woody Shaw ("Blackstone Legacy"), and vibist Bobby Hutcberson made Cables' wide-ranging keyboard skills, often on electric piano, amply evident. Demand for his sensitive accompaniment increased and by the end of the 1970s, Cables was garnering a reputation as everyone's favorite sideman. Perhaps the most pivotal turn came when hard-bop legend Dexter Gordon invited Cables into his quartet in 1977. The two years he spent with the reappreciated tenor giant ignited Cables's passion for the acoustic piano and rimmersed him in the bebop vocabulary. "I don't feel that one should be stuck in the mud playing the same old stuff all the time, trying to prove that this music is valid," Cables says. "We don't need to prove anything. But I think you really have to be responsive to your heritage and then go on and find your own voice." The longest standing relationship Cables developed in the late seventies was with alto saxophonist Art Pepper. Cables, who Pepper called "Mr. Beautiful," became Art's favorite pianist, appearing on many quartet dates for Contemporary and Galaxy, and joining Art for the extraordinary duet album, Goin' Home, that would be Pepper's final recording session. "I've been able to play with some of the greatest musicians in the world," Cables says, ..but it's funny, if you're not seen as a bandleader, doing the same thing alot of times, it's easy to wonder, `Well, who are you really? What do you really feel?' And sometimes I have to ask myself that, because every time I play with somebody different I have to put on a different hat." He has performed and recorded with some of the greatest jazz musicians of our time, including: Joe Henderson, Roy Haynes, Max Roach, Art Blakey, Sonny Rollins, Freddie Hubbard, Woody Shaw, Sarah Vaughn, Tony Williams, Bobby Hutcherson and Dizzy Gillespie. 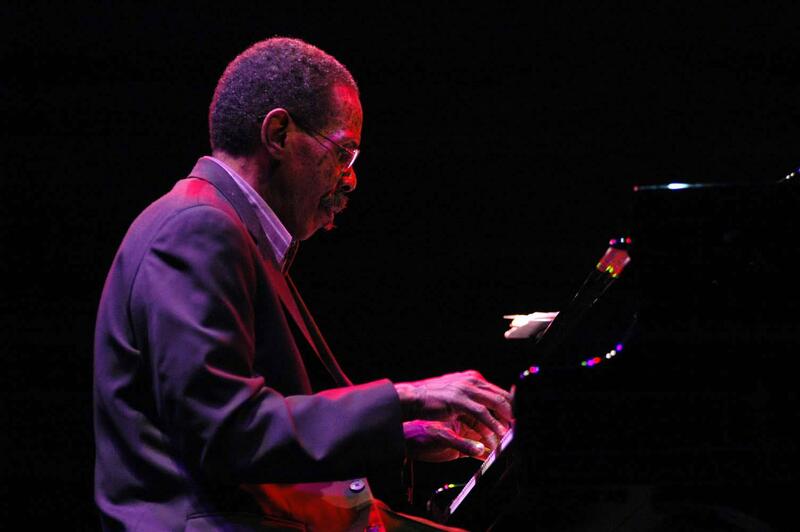 George Cables has emerged as a major voice in modern jazz. He is currenuy performing and recording as a soloist, with trio and larger ensembles, and as a clinician in college jazz programs. 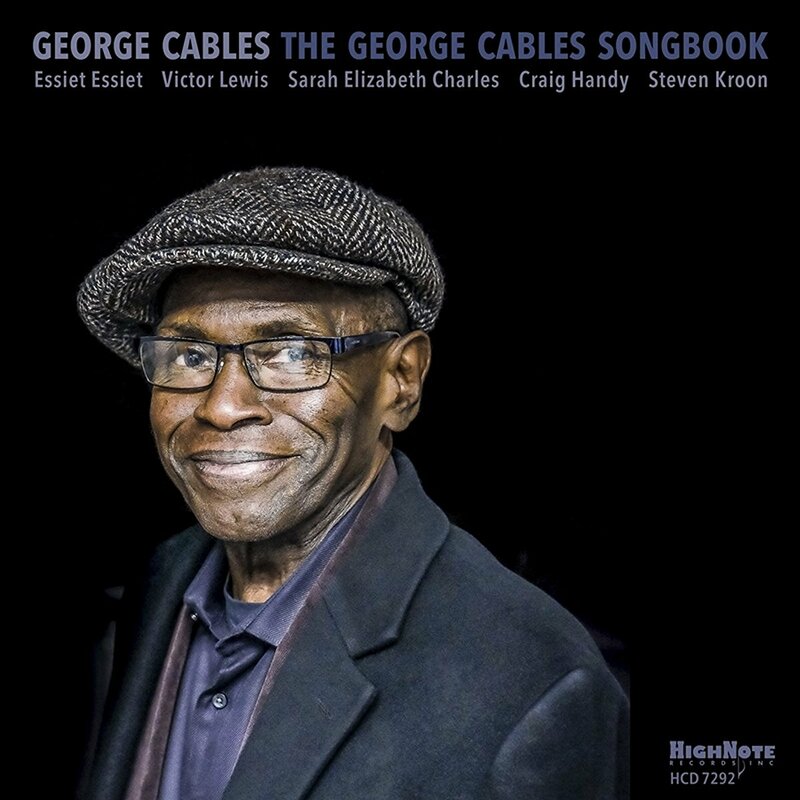 In addition to composing and arranging for his own albums, George Cables has contributed to recordings by Dexter Gordon, Art Pepper, Freddie Hubbard, Woody Shaw, Bobby Hutcherson and many others. He is noted for his fresh Interpretations of classic compositions and for his innovative style of writing. 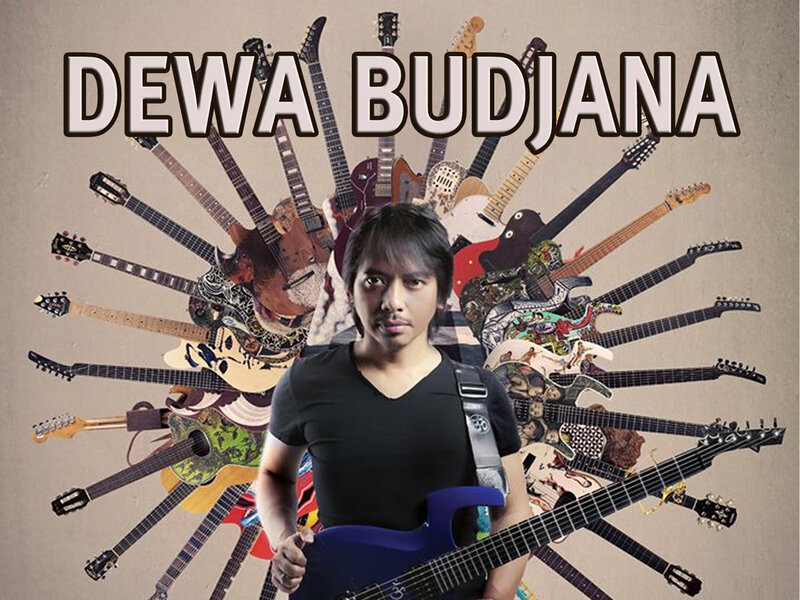 New studio album (double cd) by the iconic Balinese guitarist Dewa Budjana, featuring TONY LEVIN, GARY HUSBAND, JACK DEJOHNETTE with special guests TIM GARLAND, DANNY MARKOVICH, GUTHRIE GOVAN, SAAT SYAH, UBIET, RISA SARASWATI, CZECH SYMPHONY ORCHESTRA. All Compositions by Dewa Budjana. Produced by Dewa Budjana for Museum Gitarku Bali. Associated producer Leonardo Pavkovic for MoonJune Music/MoonJune Asia. Executive producer Bagus WIjaya Santosa. Indonesian guitar legend, Dewa Budjana is offering his most ambitious album to date, "Zentuary." Supported by an all-star cast of enormous proportions -- including jazz legend, Jack DeJohnette (over forty years on the ECM label), the iconic progressive bass and stickman, Tony Levin (Peter Gabriel; King Crimson), and the extraordinary superstar sideman talents of Britain's Gary Husband (Allan Holdsworth; John McLaughlin) -- Budjana offers a profusion of cross-cultural delicacies which tease, cajole, enthrall and, ultimately, satisfy listeners. Special guests include guitarist Guthrie Govan (The Aristocrats; Steven Wilson, Tim Garland (Chick Corea; Bill Bruford) and Danny Markovich (Marbin). A veteran player whose career has already been marked by collaborations with a virtual "who's who" of musical luminaries, Budjana still manages to raise the stakes and elevate the level of his game on his fifth solo album. Aside from his renowned skills on guitar, Zentuary documents Budjana's position as one of the genre's most prolific, accomplished composers and arrangers. The music on this 2-CD set is a magnanimous affair, where its highly skilled participants are given ample space to create and express. The net result is a soaring, synergistic mélange of brilliant, articulate instrumental progressive rock, jazz-rock fusion and world music. All tracks composed, arranged and produced by Dewa Budjana (except track 6 on Disk One, composed by Markus Reuter & Tony Levin). Tony Levin's lyrics (track 6 on Disk One) translated from English to Sundanese by Risa Saraswati. Recorded by Matthew Cullen at Dreamland Recording Studio, West Hurley / Woodstock, NY, January 19 & 20, 2015, except sax overdubs by Danny Markovich (Chicago) and Tim Garland (London), post-production keyboards overdubs by Gary Husband (London), guitar solo by Guthrie Govan (London), vocals by Ubiet (Jakarta) and Risa Saraswati (Bandung), and Czech Symphony Orchestra (Prague). Suling flute by Saat Syah and additional post-production and soundscapes by Dewa Budjana were recorded at Temple Island Studio in Jakarta, Indonesia. Executive Producer IGN Bagus Wijaya Santosa for Museum Gitarku, Ubud Bali, Indonesia. Mixed/ Mastered by: Robert Feist, Ravenswork Studio, Ojai, CA, between March and April 2016. Cover artwork by Aga Dilaga. Photos of musicians by Scott Forman, John McGuire, Tony Levin, Leonardo Pavkovic. International management by Leonardo Pavkovic, MoonJune Music, noanoamusic@moonjune.com. Indonesian management, press and publicity coordination by Joe Mailuhu on behalf of Dewa Budjana & MoonJune Asia, contact@dewabudjana.com. 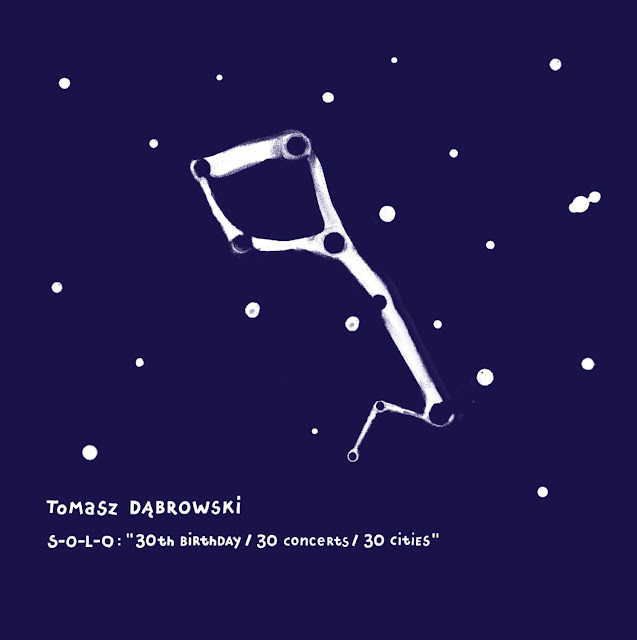 S-O-L-O: “30th Birthday/30 Concerts/30 Cities” is Tomasz Dąbrowski’s seventh album as a leader and his first solo recording. This album is the culmination of a series of solo concerts celebrating his 30th birthday performed in 30 cities in 12 different countries over almost seven months, plus three formal recording sessions held in various locations around Copenhagen. The album is made up of 10 songs intended to represent 10 chapters of one story. This is music inspired by sumi-e, the Japanese ink and wash painting technique. Its goal is not simply to reproduce the appearance of an object, but to capture its essence. 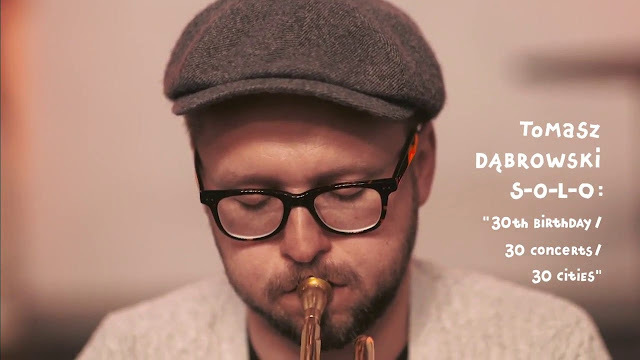 Like a sumi-e artist, painting with one stroke without removing the brush from the canvas, Dąbrowski translates this idea into music, telling the story with only one instrument. He takes the listener to his very private world, encompassing previous experiences and his contemporary musical inspirations. As Dąbrowski says: “There are a few moments in your life when things change once and for all. To me it is turning 30, simply because for the first time I can feel time is going by faster and faster. Instead of thinking about the past though, I’m looking to the future trying new things, looking for another unopened door. A documentary film S-O-L-O: “30th Birthday/30 Concerts/30 Cities” is directed by Kristoffer Juel – the winner of the Award of Excellence, Multimedia Issue Reporting Story, 73rd annual Pictures of the Year International (POYi). The movie includes interviews, footage from the recording sessions and the concerts. It will be available online along with the album.